The Nvidia Tegra K1 (Dual-Core, Denver) is a High-End Gaming SoC for Android based Tablets. The chip offers two 64 Bit CPU cores that were developed by Nvidia (Codename Denver). They are using the ARMv8-ISA and offer a very good single threaded performance. Therefore, the Dual-Core CPU is able to compete with Cortex-A15 based quad-cores like the quad-core version of the K1. The integrated Kepler GPU (see for benchmarks), Video De- and Encoders and 2x 32 Bit Dual-Channel memory controllers are identical to the quad-core version of the K1. The Apple A10X Fusion is a system on a chip (SoC) from Apple that is built into the 2017 iPad Pro models. It integrates six 64 Bit cores that are divided in two clusters. Three high performance cores are clocked at up to 2.39 GHz. The three power saving cores are used for non demanding tasks. It looks like only one of both clusters is able to run at a time (therefore the apps see only three cores). The principle is similar to the first generation of ARMs big.LITTLE concept. The performance of the SoC is positioned in the high and and clearly faster than all previous Apple SoCs. Even compared to Android high-end SoCs like the Snapdragon 835, the A10X takes the lead (e.g. in Geekbench or Antutu). The integrated graphics card of the SoC will most likely stem from PowerVR (again) and features 12 cores instead of 6 in the A10 SoC. 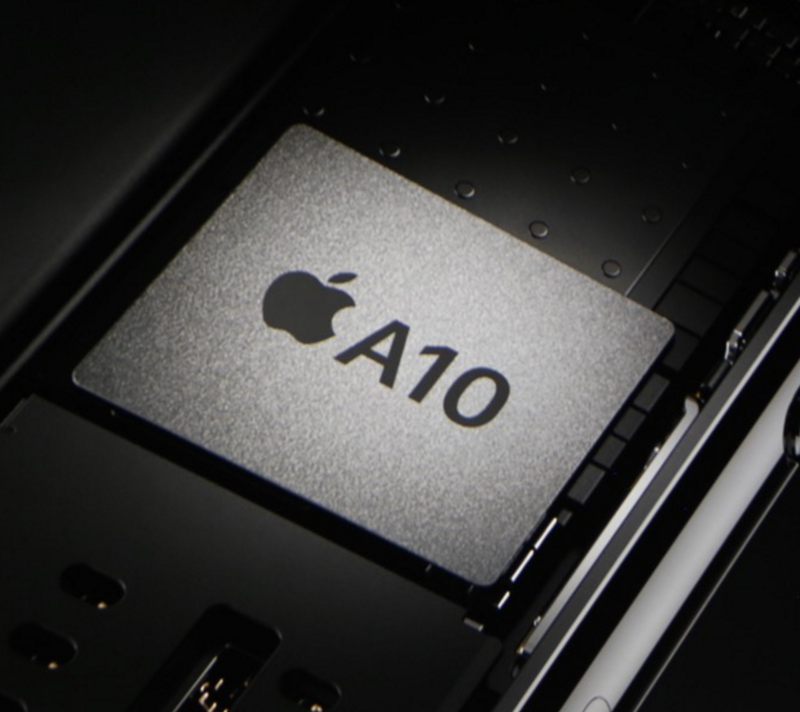 According to TechInsights, the A10X is manufactured in the brand new 10 nm FinFet process at TSMC. Altough it offers more function blocks, the A10X is with measured 96.4 mm2 significantly smaller than the previous A9X (143.9 mm2). The Apple A10 Fusion is a system on a chip (SoC) from Apple that is built into the iPhone 7 and iPhone 7 Plus. It integrates four 64 Bit cores that are divided in two clusters. Two high performance cores are clocked at up to 2.34 GHz and should be around 40% faster than the Apple A9 (according to Apple) and two low power cores (up to 1.1 GHz?). Up to now its unclear if all four cores can be used at once (that need only 1/5 th of the energy in some use cases). At the release of the iPhone 7 it looks like that IOS is only using two cores at a time and automatically switches between the two clusters. Therefore, apps are seeing only a dual core. The principle is similar to the first generation of ARMs big.LITTLE concept. The integrated graphics card of the SoC will most likely stem from PowerVR (again) and perform 50% faster at 2/3 of the power consumption (according to Apple). All in all the chip includes 3.3 billion transistors, which is more than a current AMD Bristol Ridge (3.1) and Skylake Quad-Core (1.75) X86 SoCs. Denver Cyclone 4? Cyclone 4? : Apple A-Series Cyclone 4?